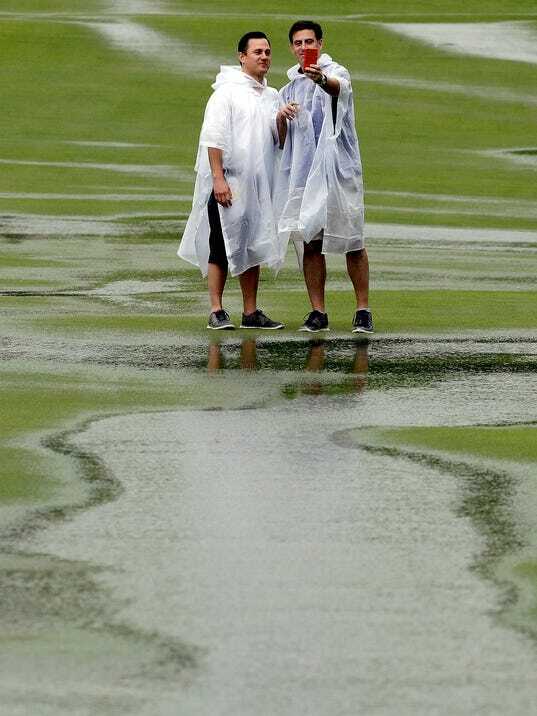 OAKMONT, Pa. (AP) — Might as well hit the “restart” button on this U.S. Open. Three swift-moving storms raked Oakmont Country Club and made a hash of Thursday’s first round, sending U.S. Golf Association officials scrambling to get the national championship back on pace. Play is scheduled to resume Friday at 7:30 a.m., meaning all but the nine golfers who completed the first round can expect to play more than 18 holes. Before the day’s third and final suspension of play was called, leader Andrew Landry — a U.S. Open rookie who’s ranked No. 624 in the world — faced a 10-footer for birdie on his last hole in a bid to get to 4 under. One stroke back were Masters champ Bubba Watson and Danny Lee, trailed by a second group at 1 under.